Does Raising the Incline on a Treadmill Make Your Legs Stronger? A hill workout may leave you feeling spent, but accomplished. The incline button on the treadmill is often a lonely soul. After all, who would willingly slog uphill when they don't have to? But, if you want strong legs that will power you through flat runs and look hot in your mini, the treadmill incline is the way to go. Look at the incline button as a way to sizzle extra calories, build strength and add lean muscle to your legs. Running or walking uphill calls for greater muscle recruitment than running on level ground, meaning you target more muscle fibers and create more leg strength. An article published by FreeMotion Fitness in 2008 reported that when you increase the incline of a treadmill above 15 percent, about 75 percent -- or more -- of your leg muscle tissue is activated. At a zero percent incline, just 20 percent of this muscle tissue is activated. Your body has three types of muscle fibers: slow-twitch, or Type I; intermediate fast-twitch, or Type IIa; and fast-twitch, or Type IIx. Slow-twitch fibers are endurance-related -- they help you work for a long time. Intermediate fibers produce more force and can help you go middle distances effectively. Fast-twitch fibers are used in maximum strength lifts or for short bursts of hard work, such as sprints. Targeting all three of these muscle fiber types makes your legs stronger -- and you can do that with treadmill incline training. 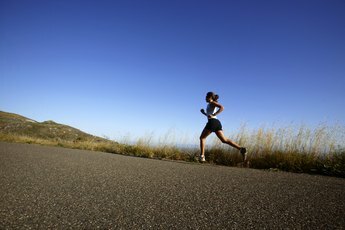 When you start to climb a hill, your short-twitch fibers kick in; as the hill becomes steeper, your intermediate fibers activate; finally, to finish a burst at the top of the hill, you engage the fast-twitch fibers. This combination of muscle-fiber activation results in greater leg strength and stamina. If you are a runner, the leg strength built by running up inclines will help you go faster. To build strength for speed, try eight to 15 intervals of running up a steep 10 percent to 15 percent incline on the treadmill for 50 to 200 meters, followed by a walk on a zero to 1 percent incline for a minute or two. These speedy hills target the fast-twitch fibers, which results in greater power and strength output from your legs. If running isn't your thing, walking up a treadmill incline also offers strength benefits to your legs. FreeMotion Fitness notes the greatest results are experienced at inclines of 10 percent or greater. A strength-building workout could involve hill intervals, pushing up an intense 10 percent to 15 percent incline for a minute or two, with recoveries on a flat incline, or a steady hill climb. Both walking techniques will create strength in the lower body while scorching calories. 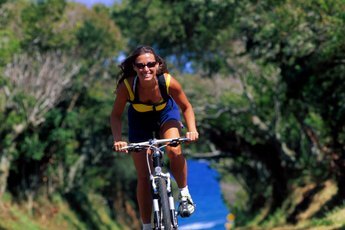 Does Using the Bicycle Help Your Legs? 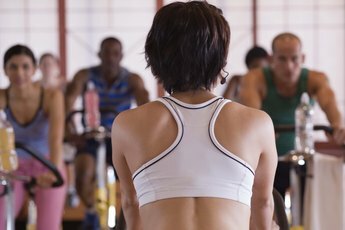 Can Sprinting on a Bicycle Increase Running Speed?